Samuel Scott Financial Group, a leading mortgage bank and one of the fastest growing companies in San Diego, is pleased to announce that Joe Flanagan has joined their team of expert Mortgage Advisors. 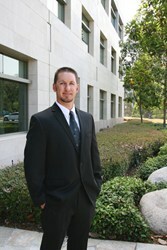 Since beginning his career in 1998, Flanagan has earned a reputation for how thoroughly he will analyze a client’s financial situation and tailor a loan to fit their unique needs. He made the 2013 Five Star Mortgage Professional list from San Diego Magazine and was the 2010 Loan Officer of the Year at Mountain Trust. Flanagan’s passion for excellence and commitment to customer service are the perfect fit for Samuel Scott. Samuel Scott Financial Group was recently ranked the 49th Fastest Growing Private Company by the San Diego Business Journal and made the Inc. 5000 list of fastest growing companies, two accolades the company attributes to hiring strong professionals who are motivated to build their business. Samuel Scott Financial Group is a boutique mortgage company recognized for superior customer service and the way their Mortgage Advisors tailor the residential loan process to fit each individual client. Consistent and reliable, Samuel Scott Financial Group has been selected as The Best Mortgage Company in San Diego for the 7th straight year by readers of local publications. In 2012 and 2013, the San Diego Business Journal recognized Samuel Scott as one of The Best Places to Work in San Diego and they were named in the Inc. 500 | 5000 list of Fastest Growing Companies in the nation. Samuel Group Financial Group is expanding throughout Southern California. If you share our passion for first-class service and continually strive to set the benchmark for financial excellence in the mortgage industry, we want to talk with you about career opportunities for Mortgage Advisors and loan professionals. Please contact Russ Schreier, VP of Sales, at phone 858-436-1187 or Russ(at)SamuelScottFG(dot)com to schedule an interview. Samuel Scott Financial Group is licensed by the CA Dept. of Real Estate, Real Estate Broker License 01458652 and NMLS 235584. Equal Opportunity Lender. All rights reserved. ©2013 Samuel Scott Financial Group.